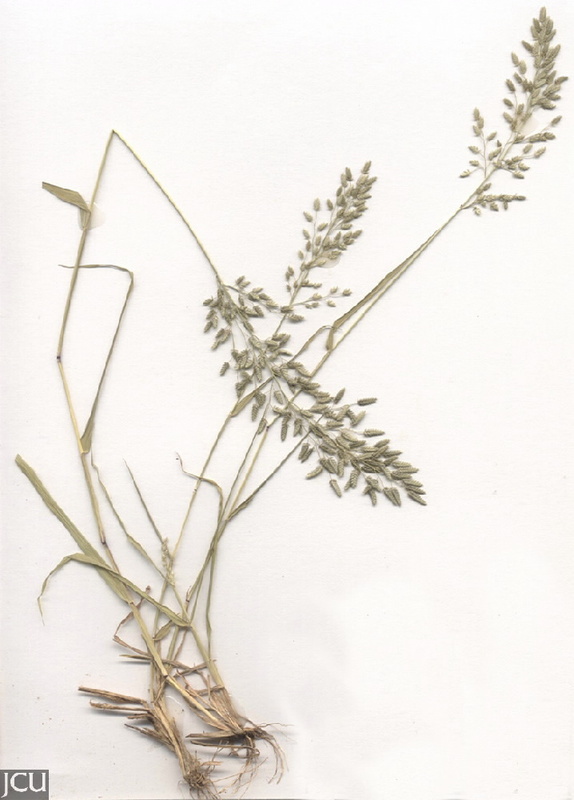 Grass, tufted to about 90 cm tall. Ligule a fringe of hairs. Wart-like glands on margins of leaf-blade. Inflorescence 4-30 cm long, numerous florets per spikelet.